The installation of a high specification Junair Spraybooths commercial spray booth featuring two pneumatic access platforms and a paint mixing room at First Glasgow’s £25million bus depot and head office is delivering commercial opportunities for Scotland’s biggest bus company. 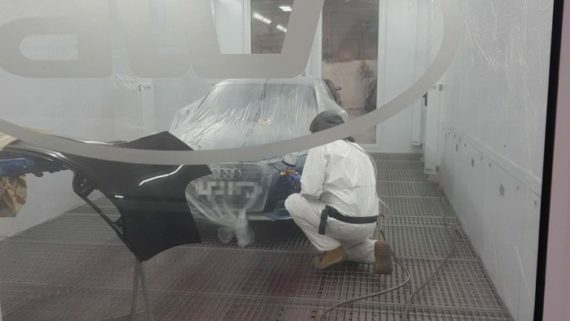 Caledonia depot, First Glasgow’s bespoke facility is the biggest bus depot in the UK and has a specialist long-term vehicle repair unit fully equipped with a commercial spray booth and paint mixing room, designed and manufactured by Junair Spraybooths. The Junair commercial spray booth measures 16m (L) x 5.5m (W) x 5.5m (H) and provides easy access and manoeuvrability when preparing and painting double deck vehicles. 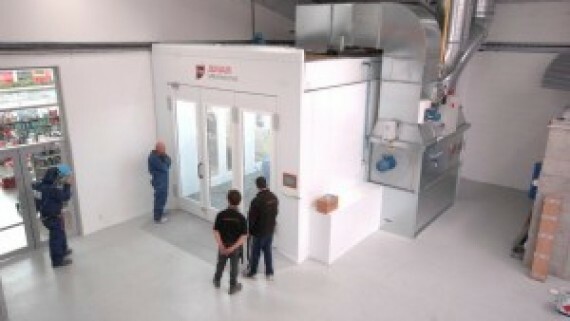 The spray booth utilises a twin side chest extraction to provide an effective overspray removal and is operated using Junair’s sophisticated iSystem touch screen. This allows operatives to select from a number of pre-set bake cycles. 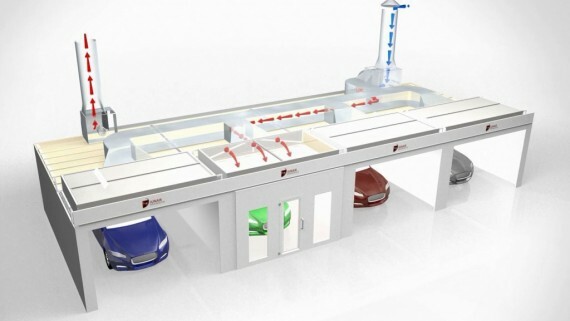 Within the spray booth, two pneumatic access platforms have been installed which provide a 3 way (horizontal, vertical and in/out) movement inside the spray booth. This replaces the need for ladders and scaffolds with a much safer, easier and more productive solution for masking, painting and inspection. 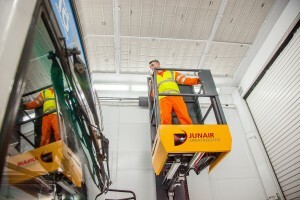 Martin Brand, First Glasgow’s Major Repair Business Manager said: “Since installation Junair have been providing on-site product training to ensure that all of our operatives are competent in the correct and safe operation of the pneumatic access platforms. Our operatives find the platforms safe and easy to use and helps them to carry out their jobs efficiently. First Glasgow wants to ensure that energy consumption is kept to a minimum. The commercial spray booth is fitted with Junair’s QADs which accelerates the air movement from the corners and centre of the cabin. 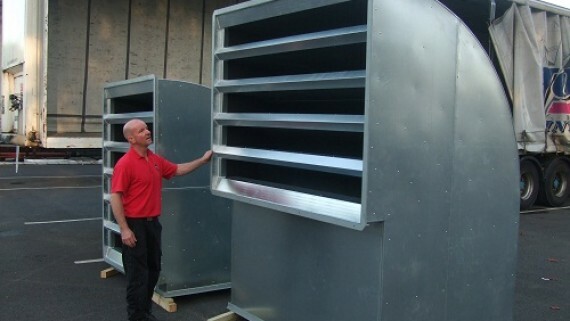 The system speeds up the drying process and drastically reduces energy consumption. Junair’s QADs also provides an even temperature distribution within the spray booth. For added energy efficiency a fuel saver mode has been fitted to the air handling unit. 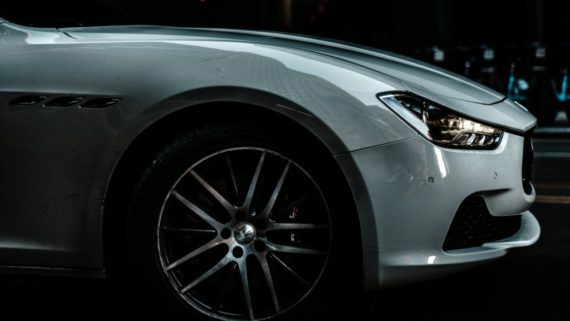 The fuel saver mode automatically changes the air handling plant to recirculation during idle and flash off modes. Over the last two years First Glasgow has been raising the bar for bus travel in the city and beyond by investing in its fleet and ensuring state-of-the-art modern and eco-friendly vehicles are taking to the road. 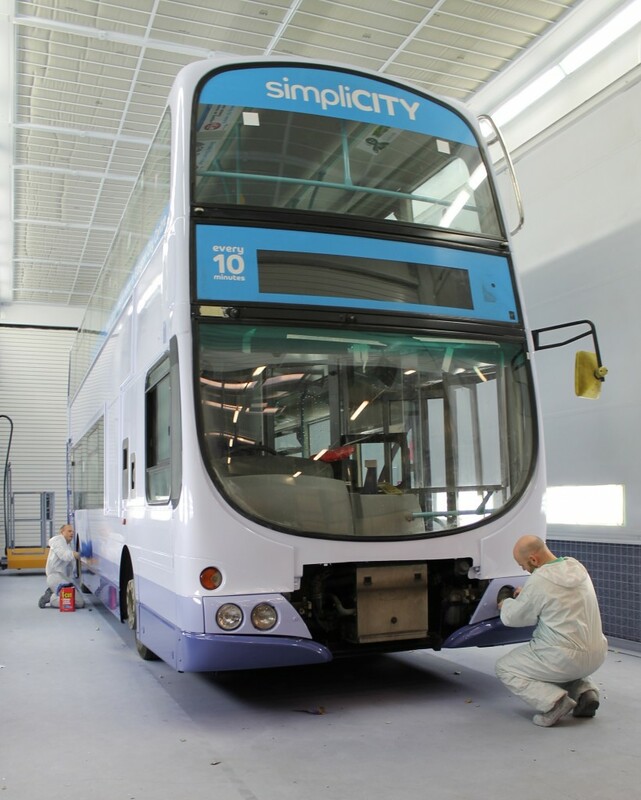 Caledonia depot is the greenest bus depot in the UK and incorporates some of the latest advances in design including its new spray booth and paint mixing room. 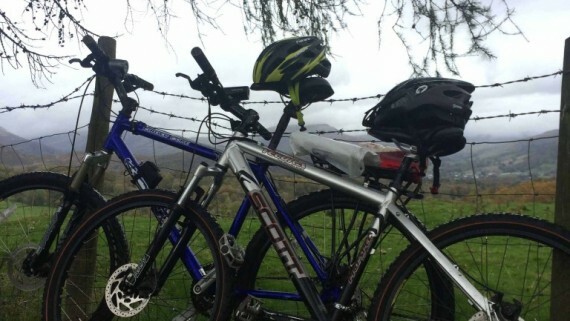 Junair proud to sponsor BEN Lynwood to Paris charity cycle ride!